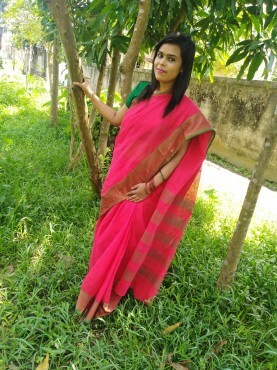 28 years (F), Unmarried, Muslim, Habiganj, Hobigonj, Bangladesh. Master / Post graduate in Management, currently enjoying working in Non Working area. I am Looking for a job. I am with Average body & Shamla body complexion, No smoking & No drinking habit. I like to eat Normal food. I follow Bengali community with Will tell later style. I am 5ft 2in - 157cm & 48 kg weight. I speak Bengali, English, Hindi. My blood group dont know, I was born in Chittagong, Bangladesh currently live in Hobigonj, Bangladesh. I would like to marry Soon. I have no disability & physical condition. Fulfilling relationship in soon? Maybe even marriage? Easy simple my self driven media. Free of cost however your contribution on web. Matrimonial Site for prospective brides and grooms seeking Marriage based in Bangladesh & all over the world in cluding Bangladeshi community & others. Register Matrimonial Profile FREE! Match making in your area, add your profile now. Search your mate right now in easy way. MarryBD.com is a self driven web media for match making. You can find your soul mate just click search button. If you like the person then you simply contact by yourself. We do not want to get any responsibility to be in hassle you. We have no physical media that can cheat you. Its you, me all of us join contribution media that we can find suitable partner for self or others.